As vegetarianism is becoming more and more popular worldwide, there evolves a question whether it is a tribute to fashion or deep philosophy, which entails not just another diet, but a completely different lifestyle. Indeed, too many reasons can be mentioned to explain why people choose to become vegetarian. Some of them follow semi-vegetarian diets, while others do it for the health benefits this lifestyle offers. A group of vegetarians choose to adopt a meatless lifestyle because they care for animals. Meat production obviously involves the slaughter of animals, which appears to be one of the more frequent arguments brought for adopting this lifestyle. But what are the positives and negatives about becoming a vegetarian? Let's look together at prons and cons of being vegetarian. Being vegetarian benefits the body in many ways. A vegetarian diet can help lower cholesterol, and blood pressure. Moreover, vegetarian food is associated with a higher consumption of fiber, folic acid, vitamins C and E.
A fibre-rich diet also helps in weight loss if you do it right. Fruits and vegetables, an integral part of this diet provide the body with vital vitamins and minerals. There are many kinds of vegetarians. 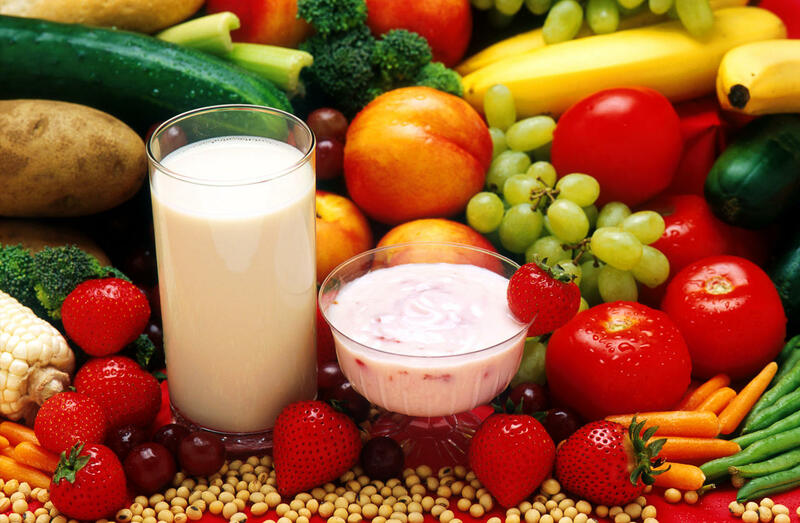 Lacto-ovo vegetarians eat no meat, but will eat dairy products (milk, butter, cheese) and eggs. Ovo-vegetarians eat eggs, but no meat or dairy products. Vegans avoid eating any animal products. They don’t eat any meat products, dairy, eggs, honey, or gelatin. Some vegans (and some other types of vegetarians) don't wear clothes containing animal products, such as leather, wool, or silk. They don't use products such as lotion or makeup that may have been tested on animals. While being vegetarian has many advantages, it poses few risks also. A half-year-long study conducted by scientists from Oxford University, perceived health benefits of vegetarianism might eventually turn into health problems. Eating solely vegetarian food leads to decrease in the brain volume as we age, so the scientists warn against excluding fish and meat from diet. Oxford scientists say that the lack of such foods as meat (especially liver), milk and fish causes essential nutrients deficiencies. Researches make an accent on vitamin B12 that is found in the food of animal origin. B12 deficiency causes anemia and central nervous system disorders. Yeast extract in some vegetarian dishes may partially supplement B12 deficiency. The scientists discovered the fact after they observed over 100 of patients aged between 16 and 87 years. The changes were especially evident among the age group of 61-87 years. They focused their research on this group. Researchers say they even observed some patients over five years. The results showed decreased brain activity and memory impairment. Besides, tomograms revealed the decreases in brain volume.